In the June instalment of the brand new feature on Soundspheremag.com – Soundtrack Of The Month, Samantha King takes us through a notable soundtrack that has touched the hearts and minds of many. 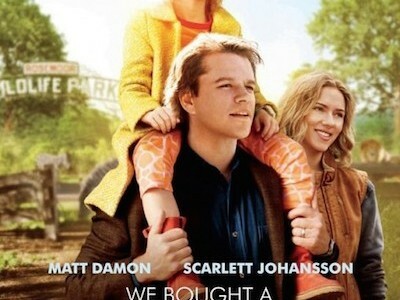 This month (July), we take a look at the songs that accompanied feel good true story, ‘We Bought A Zoo’. 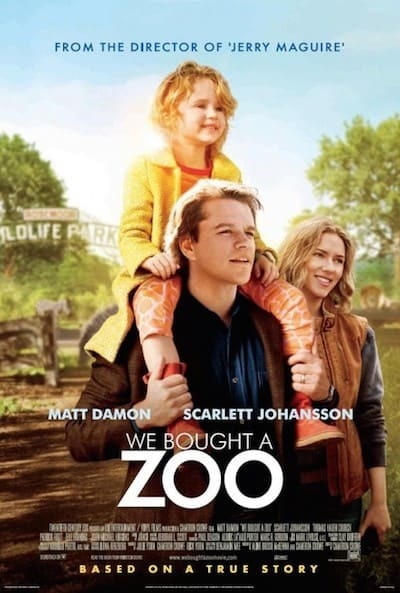 Based on the 2008 memoir of the same name by Benjamin Mee, the film is the story of a family who buys run down zoo and takes on the challenge of turning it into a public attraction. Sigur Ros frontman Jonsi is the brains behind the soundtrack, giving it an intriguing icelandic vibe. A light-hearted track that reflects the content of the film, ‘Boy Lilikoi’ reflects the undertones of being a family with it’s rich layering of instruments. The growing chorus reflects the evolution of the zoo as it becomes something magical. The tentative opening notes of the track reflect the uncertainty and nervousness felt by the characters in the film, but the rewards of having a successful zoo soon outweigh the negatives, and the build up of strings in the accompaniment suggest a happy ending. Despite the unfamiliar name, ‘Hoppipolla’ is often used in adverts, films and trailers, and has become famous for the extremely rousing build up it offers. Within this film, the track maintains the film’s lighthearted feeling, and bestows upon the listener a sense of calm and wellbeing. The track plays as though it’s been muffled, which despite giving depth to the music, adds a sense of uneasiness, reflective of the moral dilemmas being faced in the film. As the title suggests, the potential for things to go wrong becomes a real issue. In contrast to ‘Sink Ships’, this track almost inspires. The heavy rhythm that plays under the layers of lighthearted music are almost motivational, reflecting the on-screen action as the family works hard to maintain their dream. A rousing finale to the soundtrack, ‘Gathering Stories’ brings together the musical threads heard throughout the soundtrack. With choral voices and electro sounds, the track makes a magical end to a magical film.